Sebastian joined FCF joined FCF in early 2016 and supports the team in equity and debt advisory transactions. Furthermore, he is co-author of the FCF Life Science Research Series and other capital markets publications at FCF. 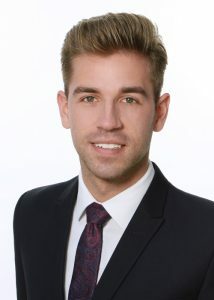 Sebastian graduated from the University of Economics and Finance in Vienna and the University of Maryland in the US with a Bsc in International Business and Finance. After his internship at FCF, Sebastian received his Msc in Finance from the University of St. Andrews in Scotland. During his studies, he completed several internships, most recently with Unicredit Bank Austria AG and Siemens AG in Vienna.